This fall and winter, the weather has been extremely messy in my area. Constant rain, high winds, and flooding along with a plethora of bugs have not been making it easy for me to get outdoors. I am longing for the days when I can grab my binoculars and sketching kit and head outside to explore and sketch for hours. Though we’ve been forced to spend a lot of time indoors, I journeyed to the post office in the rain yesterday and was rewarded with a close-up peek at a Red-tailed Hawk. His beautiful buteo body was silhouetted on a gable, and when he grew bored with watching me (or me watching him), he soared down and back up. Right. over. my. head. We have had a pair of Great Horned Owls hunting our area for the past two months. I knew they were there because I could hear them. The male and female would begin calling back and forth late in the afternoon, and I would fling my binoculars around my neck and race out the door to try to spot them. We currently reside in an area that is uniquely comprised of coastal, marshland, and maritime forest preserves. This area is home to a huge variety of bird species - from shorebirds to songbirds to raptors - all whose feathers are illegal to collect. 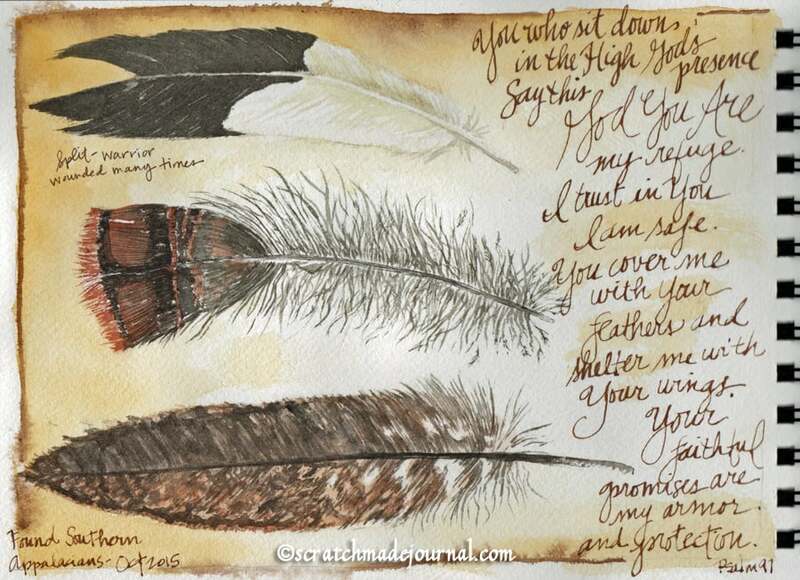 Since we are constantly stumbling across feathers, I decided to photograph the ones we find and try to capture their beauty with watercolor. 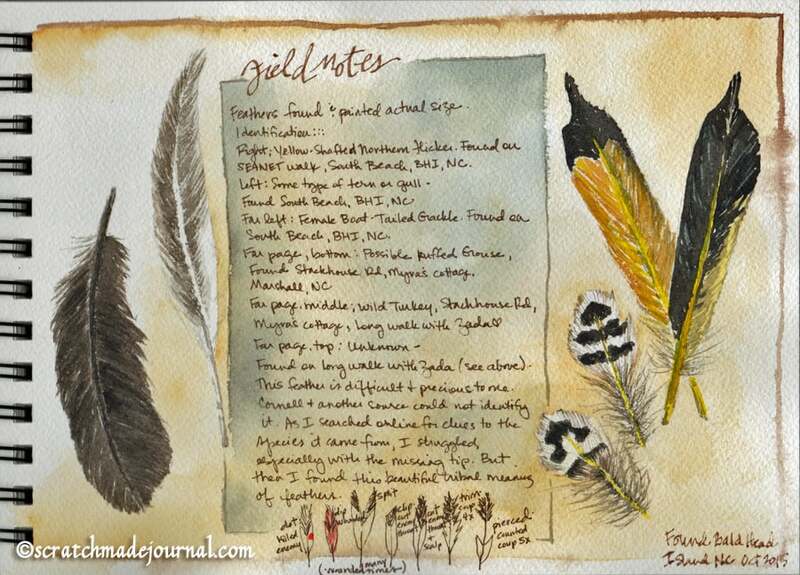 Thankfully there are no laws against sketching and painting feathers!